The Department of Theatre, Dance, and Motion Pictures is proud of its illustrious line-up of alumni, who are pursuing a wide range of careers nationwide. These include actors and singers, dancers and choreographers, musicians and composers, writers and teachers, stage managers and theatre managers, lighting and set and costume and property designers, as well as script writers and editors and cinematographers in all aspects of film making. And they're working all over the globe, from Berlin to Broadway, from L. A. to countless ocean cruises. What's more, many are parlaying their training and networks into numerous careers and life pursuits well beyond theatre, dance and motion pictures. And to all of them, we say, "keep in touch" and let us know what you're up to, wherever you are. 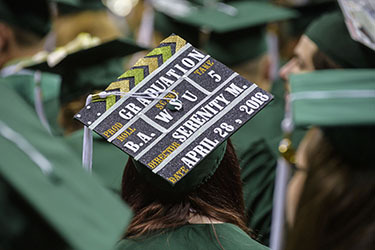 We invite our alumni to stay connected to the latest news as a member of the Wright State Alumni Association.